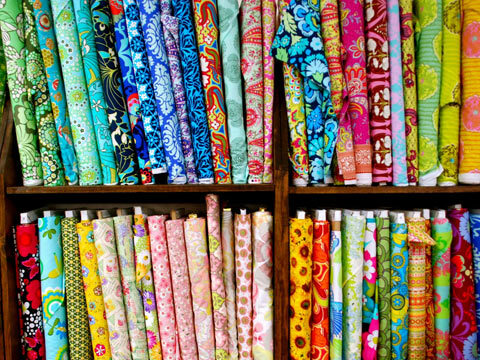 How fabric waste can be avoided! While 70% of the operational cost for any garment manufacturer is the cost of fabric, at least 5-10% of fabric purchased is wasted as most manufacturers buy incorrect amount of fabric. One of the oldest industries in the world - the textile industry- is a vibrant business hub whose history can be traced going back by many decades. Textiles and clothing trade is a vital part of the world economy with many nations heavily dependent on the sector for foreign exchange earnings and employment generation, as it also provides direct employment to nearly thirty million people. Many of the least developed and small developing countries have also built a huge dependency on the sector which often accounts for more than 90% of industrial exports and more than 50% of total employment. India too, is one such country which has a huge reliance on the textile market most of which gets consumed domestically. Clothing technology involves the manufacturing, materials, and design innovations that have been developed and used. The timeline of clothing and textiles technology includes major changes in the manufacture and distribution of clothing. With increased global competition, many sectors within the textile industry are increasing production efficiency. Research, innovations and development in technical textiles, yarn quality, clothing products, process performance, fabric finishing, coloration technology and marketing can bring significant advancement in textile sector and market supremacy. If global competition marks the advent of increased production, newer know-how machinery and tools add a value that helps cut overall costs, time and productivity. With digitalized approach to textile technology, which was once considered a handicraft, the garment industry has become a highly sophisticated, scientific and engineering activity of new types of fibres and technologies. The field encompasses different areas of engineering, such as mechanical, electrical, computer, chemical, instrumentation, electronic and structural engineering. Apparel and fashion technology, a part of textile technology has become an important activity for the designing, fashioning and marketing of garments. All this requires knowledge of latest technology and the present day textile-design students are poised to take up the challenge. It is, thus, time to both adopt and adapt to the changing development, to not only bring in efficiency to the sector, but also reduce margins and make huge profits.